The operation of connecting an alternator in parallel with another alternator or with common busbars is known as synchronizing. 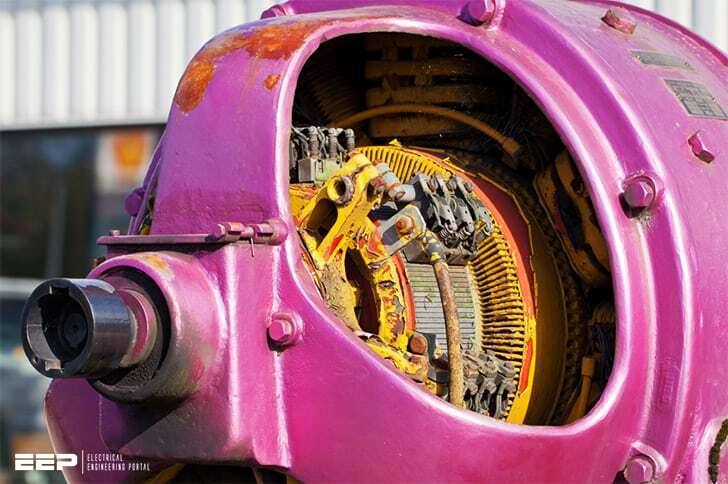 Generally, alternators are used in a power system where they are in parallel with many other alternators. It means that the alternator is connected to a live system of constant voltage and constant frequency. Often the electrical system, to which the alternator is connected, has already so many alternators and loads connected to it that no matter what power is delivered by the incoming alternator, the voltage and frequency of the system remain the same. In that case, the alternator is said to be connected to infinite busbars. The terminal voltage (effective) of the incoming alternator must be the same as busbar voltage. 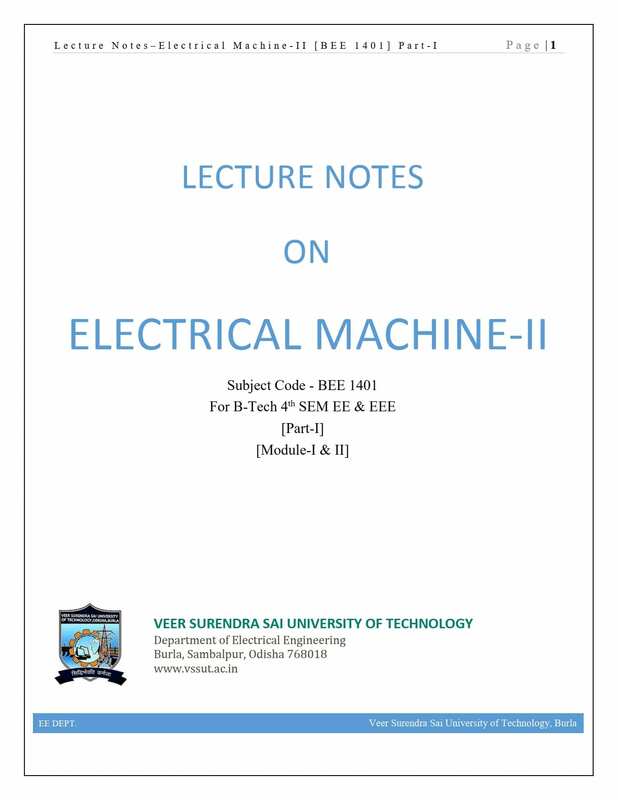 The speed of the incoming machine must be such that its frequency (= PN/60) equals busbar frequency. 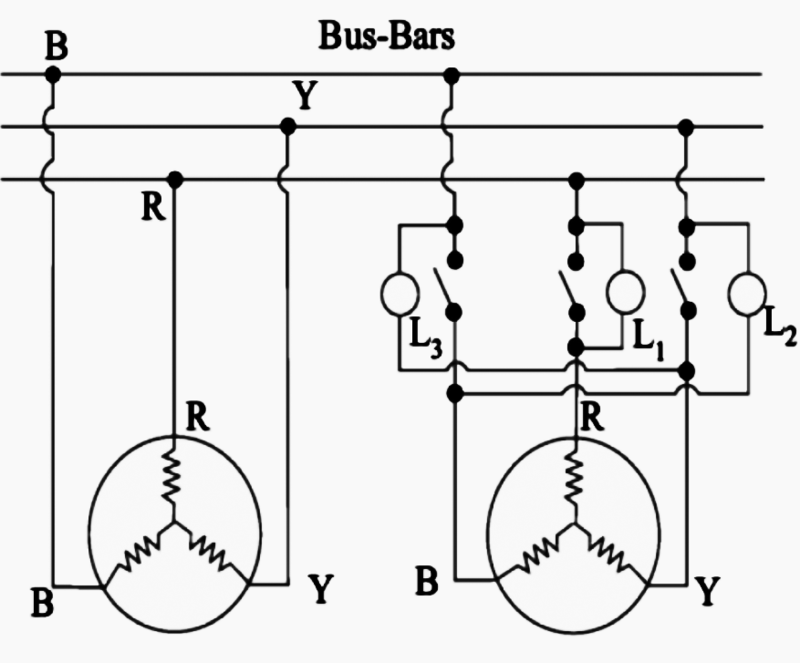 The phase of the alternator voltage must be identical with the phase of the busbar voltage. The phase angle between identical phases must be zero. It means that the switch must be closed at (or very near) the instant the two voltages have correct phase relationship. Condition (1) is indicated by a voltmeter, conditions (2), (3) and (4) are indicated by synchronizing lamps or a synchronoscope. The synchronizing lamp method is consists of 3 lamps connected between the phases of the running 3-ph generator and the incoming generator as shown in Figure 1 above. In three phase alternators, it is necessary to synchronize one phase only, the other two phases be will then synchronized automatically. However, first it is necessary that the incoming alternator is correctly ‘phased out’ i.e. the phases are connected in the proper order of R, Y and B not R, B, Y etc. 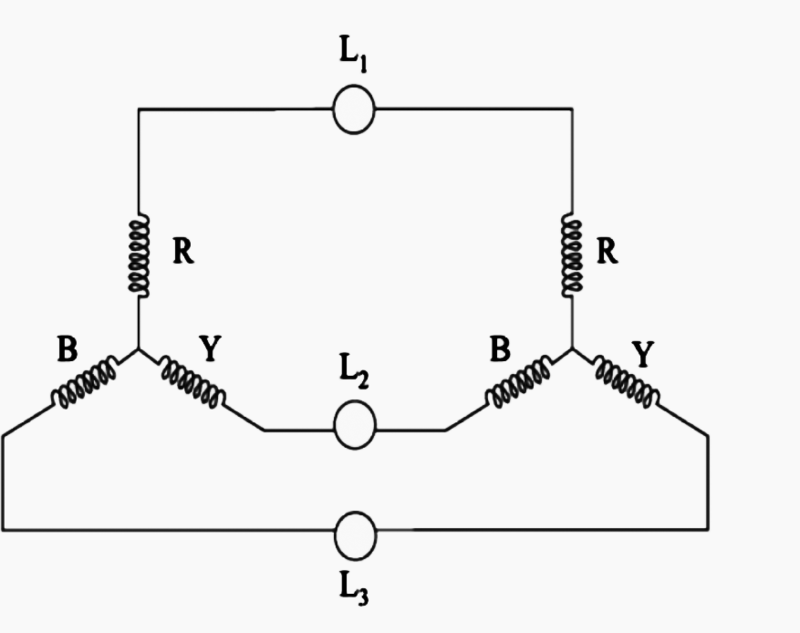 Lamp L1 is connected between R and R′, L2 between Y and B′ (not Y and Y′) and L3 between B and Y′ (and not B and B′) as shown in Figure 2. 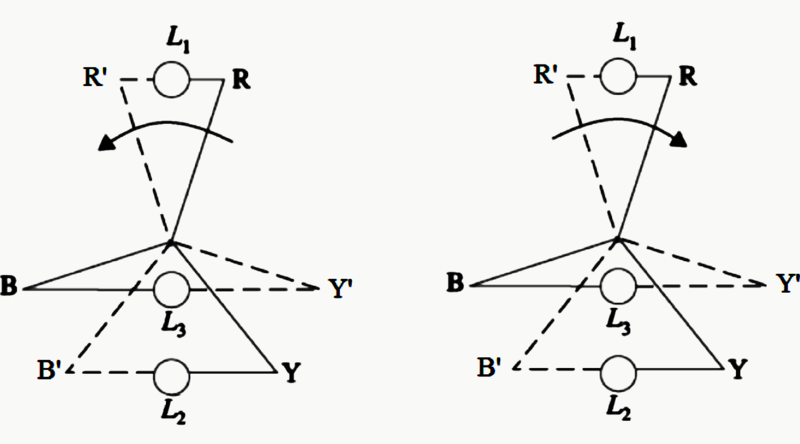 Two set of star vectors will rotate at unequal speeds if the frequencies of the two are different. If the incoming alternator is running faster, then voltage star R′ Y′ B′ appear to rotate anticlockwise with respect to the busbar voltage star RYB at a speed corresponding to the difference between their frequencies. With reference to Figure 3, it is seen that voltage across L1 is RR′ to be increasing from zero, and that across L2 is YB′ which is decreasing, having just passed through its maximum, and that across L3 BY′ which is increasing and approaching its maximum. Hence the lamps will light up one after the other in the order 2, 3, 1, 2, 3, 1 or 1, 2, 3. If the incoming alternator is running slower, then the sequence of light up will be 1, 3, 2. Synchronization is done at the moment the uncrossed lamp L1 is in the middle of the dark period and other two lamps are equally bright. Hence this method of synchronization is known as two bright one dark lamp method.